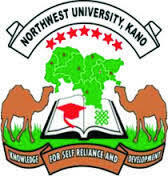 The management of the Nasarawa State University, Keffi (NSUK), School of Postgraduate Studies, has announced the released of the names of candidates offered provisional admission into its postgraduate programmes for the 2018/2019 academic session. NSUK postgraduate admission list has been successfully uploaded on the university portal. Check NSUK Postgraduate Admission List. Congratulations to all the candidates that made it to NSUK postgraduate admission list.